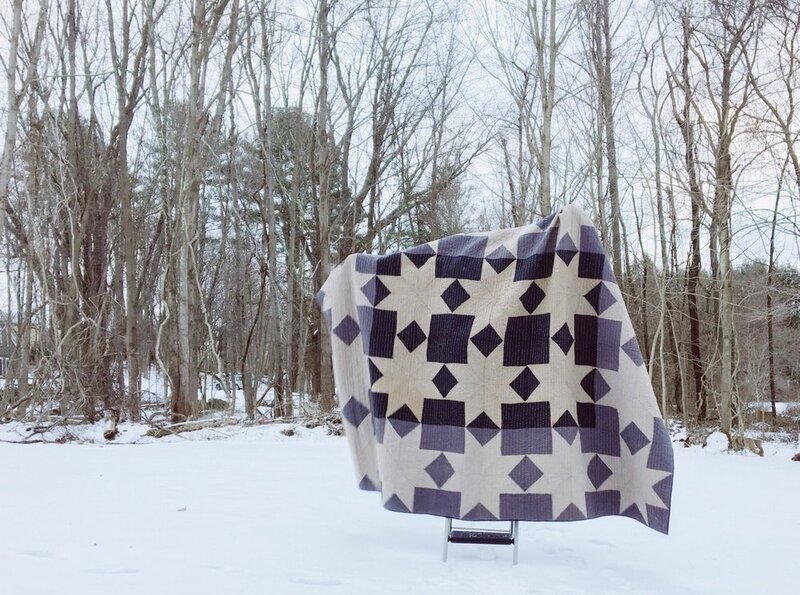 The Union Quilt is my largest quilt to date. 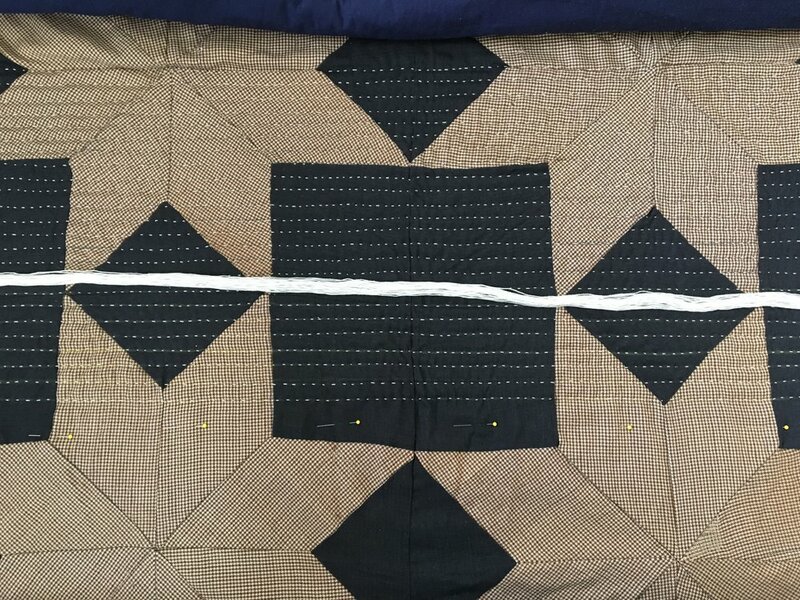 At around 116" x 124" it is fit for a king size bed, a dramatic wall tapestry, or even possibly an area rug. 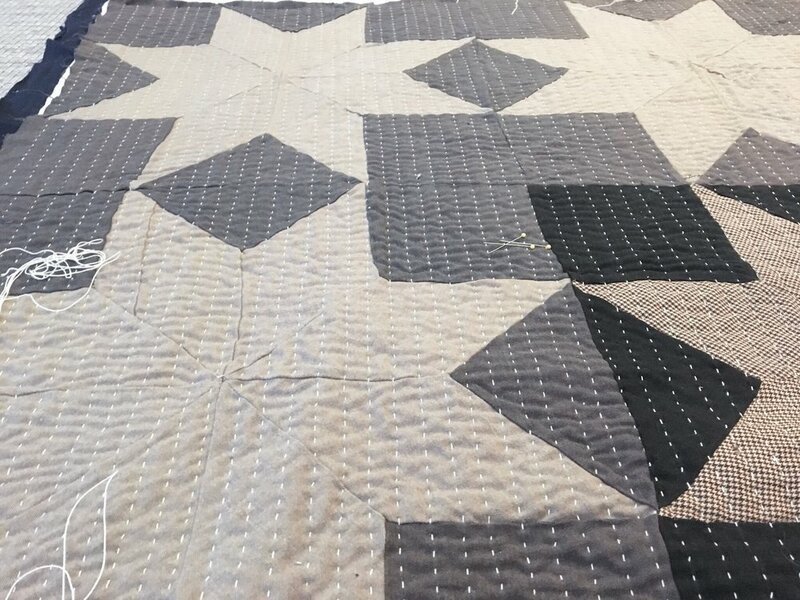 I purchased the quilt top on ebay, pieced the back, and hand quilted the entire piece with sashiko thread for durability. The top is made from old suiting fabrics and the back is pieced with vintage flannels and cotton. 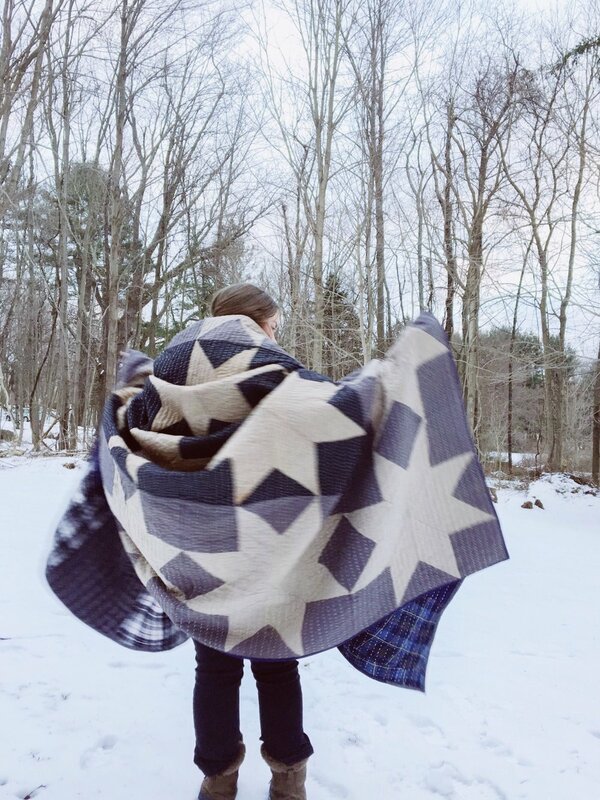 The name "union" came about naturally; the woolen fabrics reminded me of old civil war uniforms, with the lighter grey bearing a strong resemblance to the uniforms of the confederacy. The larger stars feel very patriotic to me, yet stripped of the showmanship we tend to associate with modern day patriotic memorabilia. Here are some images of the process. Shop HERE.